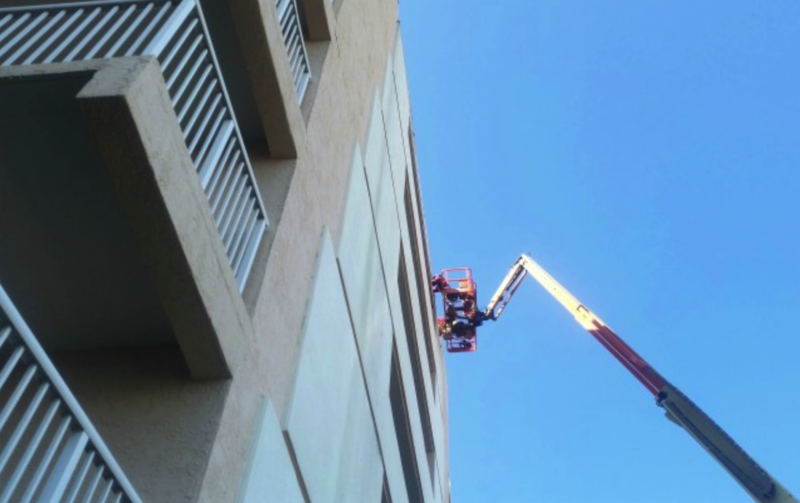 OUR condo & apartment PAINTING CREWS ARE PROFESSIONAL, FAST AND EFFICIENT. OVER THE PAST 28 YEARS, WE HAVE DEVELOPED MANY QUALITY CONTROL TECHNIQUES THAT ENSURE YOUR PROPERTY RECEIVES A COST-EFFECTIVE, LONG-LASTING PROFESSIONAL SERVICE YOU CAN COUNT ON. OUR commercial painting PROFESSIONALS WILL DELIVER HIGH-QUALITY RESULTS, USING PREMIUM PAINTING PRODUCTS SUCH AS DUNN-EDWARDS PAINTS. We offer homeowners’ associations, condos, and apartments high-quality painting services. Our team of professional painters are respectful, on time, and will keep the work area looking nice and clean throughout the duration of the project. We take pride in the projects that we take on from start to finish. If you’re looking for high-quality condo painters or apartment painters, Pro Tech Painting is Arizona’s top choice for painting. We have condo & apartment painting crews ready for any project size. We offer our customers high-quality professional painting services that are done right the first time. We are the highest rated condo & apartment painting company, so come see why everyone else chooses Pro Tech Painting over the rest time and time again. Our team understands what property managers need when it comes to painting, which makes the process easier for you. We will deliver you a premier painting project that will exceed your expectations. Our crew is filled with skilled painting technicians who are experienced in working alongside HOAs, which makes the process easier for you and the results are impeccable. We will deliver you a premier painting project that will exceed your expectations and helps preserve your properties value.